Norco is a prescription medication used to manage pain. It can be addictive, and suddenly discontinuing it can cause strong cravings. If these cravings are not effectively managed, they can lead to relapse. Each person experiences cravings differently, though cravings tend to be either physical and/or psychological. Feeling “butterflies” or a “knot” in the stomach. Having trouble focusing on anything other than the substance or craving. Cravings will pass. But when someone is in the grip of a strong craving, it may seem like the only way to get rid of it is to use. Cravings usually last between 10 to 30 minutes, though they can vary widely. Some people may experience brief, fainter cravings, while others report experiencing stronger, more drawn-out cravings. Others experience both types. Many effective techniques have been developed to help those in recovery manage their cravings. 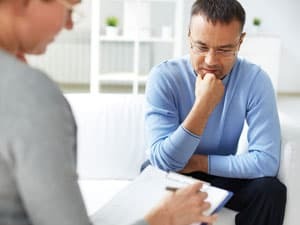 Cognitive behavioral therapy (CBT) is a highly effective treatment for many issues, especially substance use disorders. Other well-documented techniques that can be helpful in managing cravings include consequential thinking, mindfulness, urge surfing, relaxation techniques, and distraction techniques. Mindfulness is a form of meditation that is based on staying in the moment and monitoring one’s thoughts without judging them. Mindfulness can allow one to observe the experience of a craving without becoming worried about relapsing or “having to use.” It also allows the person to relax enough to examine the thoughts and situations that may have triggered the craving. Urge surfing is another useful technique for managing cravings and preventing relapse. The person “rides out” the urge and focuses on where it occurs in the body and in the mind. In addition, the person describes the feeling of the craving, noting how strong it is and if it changes. 2 In so doing, the person can distance himself or herself from the craving and observe it non-judgmentally. Managing stressful situations, such as conflict with others, social functions, working, driving, or difficulty sleeping can be accomplished with relaxation techniques. 8 Commonly used relaxation techniques can be done at any time, in nearly any setting, and include deep breathing, progressive muscle relaxation, and guided imagery. Meditation can reduce stress and promote relaxation, as well as increase one’s ability to deal with commonly encountered daily stressors. Inpatient rehab programs. Many people recovering from Norco addiction can benefit from an inpatient or residential treatment that is free of triggers. These programs offer detox, individual and group therapy, medical care, and aftercare planning. Inpatient is especially well-suited for people with strong cravings, longstanding addictions, and co-occurring mental health problems. Outpatient rehab programs. Outpatient treatment is provided on a part-time basis and usually includes group and/or individual therapy. People who are not able to take time away from day-to-day responsibilities may find this option more convenient. However, it does not offer the focused, intensive treatment of inpatient. Individual therapy. Some people choose to continue seeing a therapist or counselor one-on-one after completing a treatment program. Therapists can help you gain insight into your addiction, work on relapse prevention techniques, and offer ongoing support for your recovery. Group therapy. 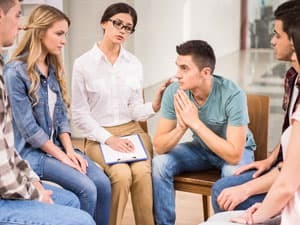 Group therapy is another form of ongoing support after treatment. You meet with a small group of other people who are also in recovery. Hearing from other people can give you the sense that you are not alone in your recovery, and you can receive advice from those who have successfully managed cravings. Finally, opioid use often damages many areas of one’s life, including relationships, housing, and work. It can leave those in early recovery with unstable or unsafe housing situations. For these people, sober housing may be an option while participating in treatment. Who Answers? to talk to a recovery support specialist about Norco rehabilitation programs in your area. Medication-assisted treatment helps people manage their cravings and maintain sobriety. A physician will replace Norco with a less potent, or longer-acting opioid medication and gradually reduce the dose over time or maintain the person on a certain dose, depending on the circumstances. Methadone. Methadone is a long-acting opioid medication. Its effects can last for days. It can produce dependence, but it leads to a lower level of tolerance and can reduce cravings. Suboxone. Suboxone is a combination of buprenorphine and naloxone, which blocks the effects of other opioids. At low doses, buprenorphine produces effects similar to methadone. At high doses, it blocks the effects of other opioids and can lead to withdrawal in users who are still dependent on Norco. Each of these medications functions differently. But when taken consistently, they can help reduce the intensity and frequency of cravings and help a person safely withdraw from Norco. 10 They can also help a person engage in therapy and help rebuild his or her life without the distractions of cravings or withdrawal symptoms. Be aware that methadone and Suboxone are potentially addictive and may lead to opioid withdrawal symptoms when abruptly stopped. Talk to your physician about any concerns you have and do not try to stop using these medications on your own. Natural techniques include distraction, exercise, relaxation, and healthy eating. Cravings can be reduced or managed with techniques that require little or no training. However, maintaining sobriety often requires the help and support of a treatment program or a therapist. Think of these as ways to manage your cravings in between individual or group therapy sessions or support group meetings. Distraction techniques can shift the focus from the craving to a different activity, such as a hobby or listening to music. A consistent exercise regimen can help keep your stress level low and activate endorphins or “feel good” chemicals in the brain. Relaxation techniques, such as deep breathing or meditation, can reduce some of the anxiety associated with cravings and allow you step back and observe the craving without acting on it. Following a balanced, healthy diet can help to reduce cravings, improve mood, boost energy, and promote overall health. In addition to practicing techniques to manage cravings, it can help to be aware of relapse warning signs. Relapse is a slow process with many “red flags” that can alert a person to an impending relapse. Reducing or stopping self-help meeting attendance. Getting involved with people, places, or things associated with substance use. Experiencing life-altering changes, mood swings, and changes in eating or sleeping patterns. Thinking or talking about prior substance use in a glamorous way. Surrounding yourself with a strong support group of other individuals in recovery. Becoming involved in positive activities, such as finding hobbies, exercising, socializing with other people in recovery, and volunteering. Staying away from people, places, and things that can trigger cravings. If you need help with Norco addiction or learning how to manage cravings, call 1-888-319-2606 Who Answers? . A treatment support representative can answer questions about insurance and payment and offer options based on your coverage.
. National Institute on Drug Abuse. (1998). Topic 1: Coping with craving.
. Drug Enforcement Agency. (2015). Drugs of abuse.